Our sponsor DorksideToys has posted a teaser on Instagram of some of the specials that they will be offering for Black Friday. 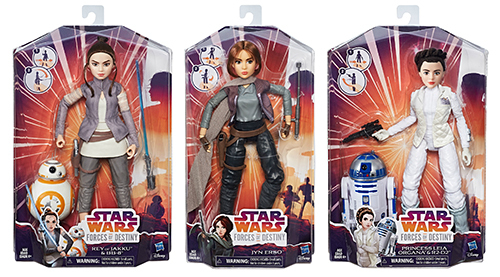 Head on over to check out specials on Black Series and Forces of Destiny items! 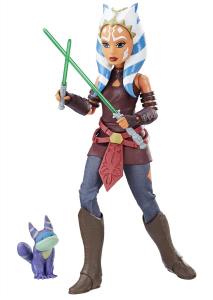 Sponsor Entertainment Earth is now taking preorders for the highly-anticipated Forces of Destiny Ahsoka Tano Adventure Figure. It is expected to arrive February 2018. 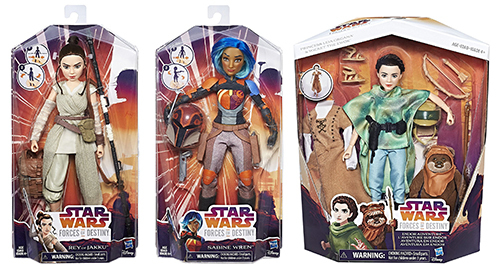 Today we happy to share some new images for the upcoming Forces of Destiny assortment of products. Click on through to check out packaged and loose shots of Rey from Jakku, Sabine Wren, and the Deluxe Endor Adventure set including Princess Leia Organa and Wicket the Ewok. Look for these sets in stores in a couple weeks.